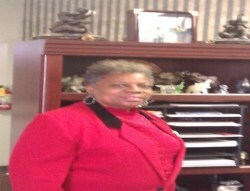 Ms. Susie Davis is the President of Two Dimensions’ School Board since 2000. Ms. Davis was born and raised in Los Angeles, California. Ms. Davis graduated from University of Southern California with a Bachelor of Arts Degree in Business Administration. She worked six years for Caltrans Department of Transportation in Los Angeles, California as an administrative clerk and then moved to the Department of Health Services in Los Angeles for over 15 years. She relocated to Houston, Texas where Ms. Davis began a career with the State of Texas Department of Human Services where she served for 29 years and retired in 2008. Since retirement she divides her time between Two Dimensions, Houston Food Pantry, her church, and her grandchildren. Ms. Davis is the mother of two children, one son who retired from the United State Navy after 21 years of service and one very charismatic daughter. 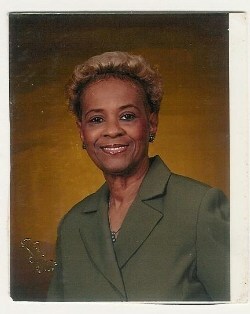 Mrs. Barbara Hilliard has been the Secretary of Two Dimensions’ School Board since 2008. She is a native Houstonian. Mrs. Hilliard attends Phyllis J. Wheatley High School. She began her career at Southwestern Bell where she served and retired after 36 years. Mrs. Hilliard is married to Mr. Roy Hilliard and together they have three sons. 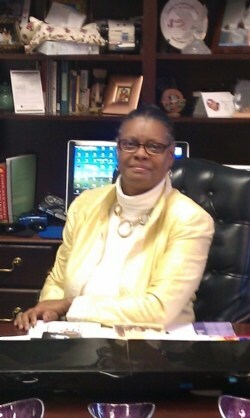 Mrs. LaDeirdre Conerly is the Chief Financial Officer (CFO) of Two Dimensions Preparatory Academy. She has served as CFO since the conception of Two Dimensions, September 1998. 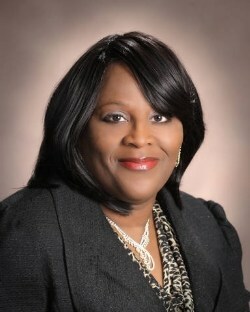 She also serves on the Board of Director for Two Dimensions Preparatory Academy Inc. She is a native Houstonian. She received her early education from the Houston Independent School District System. She furthered her education at Prairie View A & M University where she earned a Bachelors of Administration Degree in Accounting and a Master’s Degree in Business Management. Prior to being employed with Two Dimensions’ she was employed with the U. S. Treasury Department for 17 years. She has brought a wealth of knowledge and professionalism to Two Dimensions. Mrs. Conerly is the wife of Deacon Calvin Conerly and they are the proud parents of seven children, and 6 grandchildren. Mrs. Conerly’s philosophy in life is to live your life so others can see the source you’re your strength. Daisy Simpson was born and reared in Port Arthur, TX and graduated from Lincoln High School in 1969. Mrs. Simpson entered into her college career at Texas Southern University, pledged Delta Sigma Theta Sorority, and then graduated in 1974 from Lamar University of Beaumont, TX in Elementary Education. Mrs. Simpson has since then received certification in Special Education as well as her Masters from Prairie View A&M University. Mrs. Simpson takes great pride in “education”. She is always taking additional courses to improve herself academically. In 1989, Mrs. Simpson’s husband, Pastor Charles Simpson, began explaining the value of her gift to love and teach children. He insisted that they start their own school. He saw her quality of academia. They started a private school in 1990 with only eight Kindergartener s and fifteen Pre-Kindergarteners. By 1995, they were educating over 400 students. In 1998, they pursued a charter with a new board and was granted a charter that September. A new era with a new name, Two Dimensions Preparatory Academy Charter School had emerged. Two Dimensions has become a beacon in the community. Thousands of students have touched the life of Mrs. Simpson and she expects thousands more will do the same before she retires, if she does. Mrs. Simpson believes that we must be taught. We have to learn all that we know. The irreducible price of learning is realizing that you do not know. One may go further and point out, as any scientist or artist will tell you that the more you learn the less you know but that means that you have begun to accept, and are even able to rejoice in the relentless conundrum of your life. She has learned that there is always more in life to learn.